Steve Balich Editors Note: When the Republicans controlled the House nothing like this was ever even brought up. Conservative could not grasp why the House could not just stop funding the costly Obamacare Unaffordable Health Care act. Today Liberal Federal Judges are making law which is reserved to the Senate and House by one persons interpretation of the Constitution. I Don’t understand why another Federal judge can’t have the same type of case come forward and make a ruling opposite of the other Judge. At that point the Supreme Court would be forced to hear the merits quickly. Maybe that would stop legislation from the bench. I get that the loyal Media outlets work hand and hand with the Democrat Party. I know the battle is to usher in a socialist government. I understand the media push using political correctness is the weapon of choice in this effort. Show me the law that says something posted on social media is grounds for termination. Who is the judge and jury, the Media??? 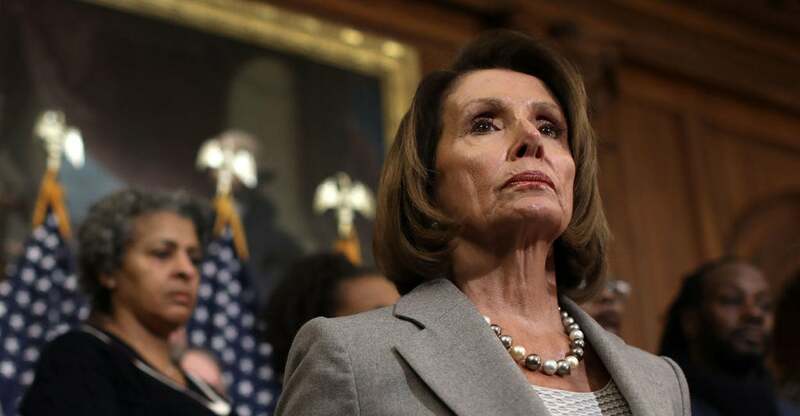 So in this battle for the hearts and minds of the American people, Pelosi claims all the power which is a lie, defies President Trump to stand against her, with her weapons of political correctness, liberal Judges legislating from the bench, remain DOJ/FBI loyal to getting rid of Trump, and of course the media.